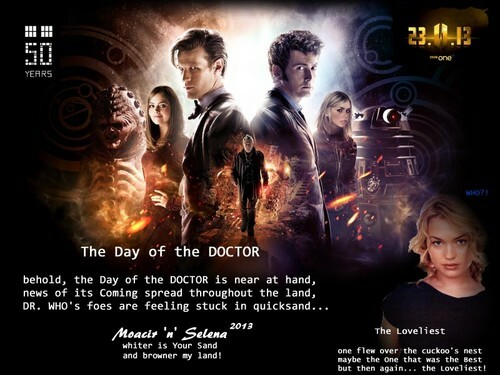 The Day of the DOCTOR. Verses. HD Wallpaper and background images in the Doctor Who club tagged: doctor who dw fanart 50 years. This Doctor Who fan art contains anime, comic book, manga, and cartoon. There might also be sunset, sunrise, sign, poster, text, and chalkboard.